31st Report on the Paramedical and Physiotherapy Central Councils Bill-2007 presented to the Rajya Sabha on 21st October 2008, by the Department-Related Parliamentary Standing Committee on Health and Family Welfare. Â Â Â Â Â Â Truly satisfying preliminary reports have come out regarding the findings the Standing Committee has come to after healthy discussions with all concerned parties. A majority of the issues was addressed properly by the Committee before they ended up tabling the report in the Rajya Sabha. Every person who had worked behind this to make these amendments needs to be congratulated as without those efforts this wouldnâ€™t have been possible. The struggle and pain endured by the Physio community needs to be appreciated, with the effort taken by various bodies , Organizations and Associations of Physiotherapy in India, in Particular. Efforts of IAP should be applauded. We are happy that we at Physioblasts.Org too were able to contribute through our memorandum as much as possible. We can hope that this Bill gets passed in the Parliament without much distortion at the earliest which also promises every profession included in the Bill is due. Â Â Â Â Â We are glad that the committee has proposed few amendments regarding the concerns we had voiced through the memorandum which includes the definition of â€˜Physiotherapyâ€™, clubbing of Occupational therapy and our profession, the administrative part of the council including appointing professionals as the head, and also the pay scales. Â Â Â Â Â The Committee recommends that title be amended to be as The Allied Health Professions Central Councils Act, 2007.Â In the light of it observations/ recommendations the Committee recommends that the word â€œParamedicâ€ be replaced by â€œAllied Health Professionalâ€ and the word â€œParamedicalâ€ be deleted from the description of council members. Committeeâ€™s attention was also drawn to the inclusion of â€˜occupational therapyâ€™ in the definition of â€˜physiotherapyâ€™. Â Â Â Â Â Â The committee acknowledges that the definition of physiotherapy was the most contentious issue and was debated in great detail. While stakeholders representing the profession of physiotherapy were vehemently opposed to the inclusion of the expression â€œmedically directedâ€ in the definition of â€˜physiotherapyâ€™ with many of them wanting it to be declared as an independent system of medicine, the representatives of Indian Association of Physical Medicine and Rehabilitation , Indraprastha Association of Rehabilitation Medicine and the Indian Medical Association articulating the views of doctor fraternity, argued that physiotherapy was not an independent system of medicine but actually an outreach of the allopathic system of medicine and therefore retention of the words â€œmedically directedâ€ in the definition of physiotherapy was a must, in the interest of patients. Indian Medical Association, New Delhi submitted that Physiotherapy does not constitute an independent system of medicine but is actually an outreach of the allopathic medicine particularly Rehabilitation Medicine, which includes all paramedics like Physiotherapy, Rehabilitation, Nursing, Occupational Therapy, Prosthetics and Orthotics (fabricating splints and artificial limbs) and Clinical Psychology. They also stated that the team is headed by a specialist in Physical Medicine & Rehabilitation (MD PMR after MBBS), a doctor who coordinates the rehabilitation programme. Attention was also drawn to the Supreme Court judgment delivered in 1998 as per which the systems of medicines generally prevalent in India are Ayurveda, Sidha, Unani, modern system of medicine (Allopathic) and Homoeopathic. The scope of the clinical and non-clinical subjects taught is only relevant to the scope of imparting physiotherapy education and not diagnostic and therapeutic aspects of all the ailments. Hence, they argued that a physiotherapist cannot apply the limited knowledge he has gained in diagnosing and treating patients. Indian Medical Association thus supported retention of the words â€œmedically directed in the definition, stating that physiotherapists are the paramedical technical staff who are trained to assist a doctor/work under the guidance of the doctor. It was further informed to the Committee that Maharashtra and Delhi Council definitions of physiotherapy were not correct and IMA was urging respective state governments to modify the same. They cited the examples of the New York Physical Therapy Act, the Australian Physical Therapy Act, the California Physical Therapy Act and the Louisiana Act and claimed that as per these Acts only the medical doctor is authorised to do the diagnosis and refer the case to a physiotherapist. Â Â Â Â Â We, physiotherapists argued that these words reduced the scope of independence of physiotherapists in decision-making during the course of their clinical practice. It was also emphasized that the entire definition of physiotherapy, as given in the proposed Bill was wrong. The Committee was also informed that over the years, curriculum of physiotherapy education in different institutions in the country has upgraded from Diploma level to 4 yearsâ€™ and 6 months degree course, followed by Post-graduate and PhD courses. Further, physiotherapy graduates undergo intensive full time clinical training and are skilled to handle all varieties of patients of sports injury, neurological disorders, Orthopeadic disorders, Cardio-respiratory diseases, post-trauma cases and geriatric care. Â Â Â Â Â The Committee was also made understand that in counties like Australia, New Zealand, UK, USA, Canada etc; physiotherapists are given a regulatory status where one has the independence and autonomy to practice the profession of physiotherapy. Committeeâ€™s attention was also drawn to the parallel position of Naturopathy and Yoga when compared with physiotherapy as both were based on physical and psycho-somatic methods of diagnosis and treatment, with both claiming benefit to the patients in a drugless manner. It was argued that both Naturopathy and Yoga are granted equal status along with Ayurveda under AYUSH. Thus, physiotherapy also deserved to be granted an independent status. Â Â Â Â Â We also defined the problems arising from medical practitioners prescribing the form of PT needed to be given to a patient by noting the point that physiotherapy not being part of their curriculum, it would be beyond their expertise to give any medical direction to physiotherapists. And it was also explained to the Committee that every health system has both referral and independent practice. Every medical consultant including physiotherapist works as a part of the entire medical team. It was, accordingly, emphasized that both physiotherapy and medical practice were professions, supplementary and complementary to each other and not necessarily overruling each otherâ€™s practice. Â Â Â Â Â The Committee was said to be disturbed by the diametrically opposite stand taken by the physiotherapists and medical practitioners. In the process, Committee says that, the academic exercise of defining a profession has been done away with and element of professional insecurity and rivalry seems to have become more important. After taking into considerations all the available facts and inputs, Committee came into a conclusion that physiotherapy education over the years has made significant advancements and has evolved as a distinct profession seems to be well established. This is strengthened by the considered opinion of Ministry of Law that physiotherapy profession should not be equated with the paramedical professions. The Committee did not notice the specific use of words â€˜medically directedâ€™ in the definition of â€˜physiotherapyâ€™ given in the foreign Acts as argued by the MCI. Â Â Â Â Â The Committee also takes note of the fact as mentioned by the representative of the Ministry that in USA, physiotherapy profession has reached a stage where these professionals can practice independently and it has been specifically provided that physiotherapists having the required experience can give physiotherapy treatment without a referral. These Acts also confer upon a physiotherapist the right to practice with or without referral governed by the circumstances of the case. Committee also makes a valid point that such a definition of physiotherapy in any of the Acts does not give the right to a physiotherapist to practice as a doctor. Â Â Â Â Â The Committee also takes note of well-founded objection raised with regard to the definition of physiotherapy as given in the Delhi Act. The Committee, accordingly, recommends that this definition may be included with the replacement of the words â€˜physiotherapeutic system of medicineâ€™ by the word â€˜therapyâ€™ or â€˜health care professionâ€™. Secondly, to set at rest the apprehensions expressed by all concerned about physiotherapists assuming the role of a doctor, following provision may be added at the appropriate place in the Bill : â€˜Physiotherapists cannot take over the responsibilities of a doctor and cannot prescribe drugs.â€™ This should put end to a lot of speculations and arguments, which for sure will have many opposing as well as supporting voices from inside the PT community. (d) The Radiology Technology Central Council. Â Â Â Â Â And also bringing down the curtain on matters related to the council governance and governments arm being over it, the Committee had found various objectionable clauses in the proposed Bill. Committee points out that arming the Central Government with overriding powers in all matters coupled with lack of any mechanism of checks and balances will undermine the very purpose for which the Councils are proposed to be set up. â€œThe Committee is appreciative of the fact that the Central Government, by its very nature, is mandated to implement policies of national importance and to that extent it is well within its right to exercise control over the affairs of the Councils. However, that does not warrant giving the Central Government over-riding powers in a way that is prejudicial to their autonomous working.â€ The Committee on its findings recommended a new clause be added to the Bill to shield the proposed Councils from undue government interference. Â Â Â Â Â With regard to the lack of clarity in matters related to the administrative part, Committee feels that the Bill itself must provide that after the term of the first Council runs out, the next Council shall be constituted by way of election The Committee finds the concerns valid and recommends that the said Clause be amended to reflect that the Chairperson and the Vice Chairperson of the next Councils shall be elected by the members of the respective Councils from amongst themselves and the person so elected and his qualifications should be directly relevant to the discipline of the concerned Council in such a way that he should be eligible to be enrolled on the register of the concerned Council, a point Physioblasts.Org had been asking to be done. Â Â Â Â Â The Committee also recommends that the Bill be amended to the effect that a member of the first Council shall hold office for a term of two years and thereafter the term of Member of an elected Council shall be five years. The Committee recommends that four members of the first Council should be appointed by the Central Government, from amongst the practitioners of eminence in the concerned discipline, from the Institutes and Hospitals of repute and after the expiry of the term of the first Council, four members under this clause shall be elected from amongst the practitioners of repute of the concerned discipline, from Institutes and Hospitals of repute, by members of the Institutes and the Hospitals, whose names appear in the register of the concerned Council. Â Â Â Â Â The Committee also recommends that out of the four members so elected, two shall represent the public sector Hospitals/Institutes and two shall represent the private sector Hospitals/ Institutes. The Committee, accordingly, recommends that another four members shall be appointed by the Central Government by rotation in the alphabetical order from within the zone to represent the States, i.e. North, South, East and West and one member shall be appointed to represent the Union Territories. To ensure that the Council is manned mostly by professionals, the Committee recommends that the proviso be amended to ensure that the members of the first Councils appointed under this clause should be from amongst the qualified professionals of eminence and after the expiry of the term of the first Councils, appointments under this Clause should be made from amongst the qualified professionals of eminence, who are enrolled on the register of the concerned Council. Also two MPs from Lok Sabha and one M.P. from Rajya Sabha elected by the respective Houses also would feature in the Council. The Committee would also like to point out that normally the Chairperson and Vice-Chairperson of a Council are the ex-officio members of the Executive Committee and automatically become the Chairperson and Vice-Chairperson of the Executive Committee. Â Â Â Â Â Regarding establishment of educational institutions for the professions and the norms, Committee has asked for adding certain clauses to the Bill such that certain norms were stipulated. In view of the yawning mismatch between demand and supply of health care services in the country, the Committee feels that the Central Councils could play a vital role in terms of acquainting the Government with requirements of allied health professionals in the country. The Committee also notes that it fails to understand as to why the detailed provisions as made in the Indian Medical Council Act, 1956 and the Delhi Council for Physiotherapy and Occupational Therapy Act, 1997 regarding establishing an institution, opening a new or higher course of study or training, increasing admission capacity in any course of study or training, procedure for submission of an application for grant of permission etc. have not been suitably incorporated in the present Bill. The Committee, therefore, recommends that Clause be suitably and comprehensively amended to incorporate detailed provisions on the pattern of Section 10A of the Indian Medical Council Act, 1956 and Section 18 of the Delhi Council for Physiotherapy and Occupational Therapy Act, 1997. Â Â Â Â Â Regarding qualifications necessary to practice the Committee notes that the proposed provision in the Bill does not make any reference to a schedule where-under all the recognized qualifications of relevant professions are to be included. The Committee is of the opinion that in the absence of such a provision, it would not be possible to identify the recognized qualifications at a glance. Schedule is the right mechanism for this purpose. The Committee points out that the proposed legislation is envisaged for four categories of allied health professions having variety of degrees with an enabling provision for future expansion. Provision of a schedule as indicated above needs to be an essential feature. The Committee, accordingly, recommends that necessary modifications in this regard may be carried out. Â Â Â Â Â Committeeâ€™s attention has also been drawn by the absence of two very important provisions covering very vital aspects, like non-recognition of qualification in certain cases, time for seeking permission for certain existing colleges/institutions in the Bill. The Committee says it fails to understand the rationale for non-inclusion of such provisions. The Committee points out that an enabling provision taking care of existing institutions with all the required precautions along with powers to take action against institutions coming up against the prescribed norms cannot be ignored. Such provisions are required for safeguarding the interests of both students and institutions. The Committee, accordingly, recommends the incorporation of such provisions in the Bill. The Committee thus recommends that a provision be made in the above clause for a mechanism to be put in place for the purpose of upgrading the skills of professionals through in service/ education/ training programme. The Committee also finds the suggestion regarding periodic review of minimum standards valid and recommends that provisions for a mechanism for reviewing the minimum standards periodically be made in the Bill. 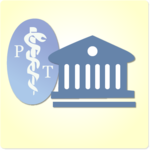 Â Â Â Â Â It is also to be noted that there are already few state councils that govern the PT practice in their respective states and is formed on a very different view than the present Committee findings on PT practice. The Committee feels that in a vast country like India utmost care needs to be exercised while formulating the minimum standards of education so that the interests of the students of allied health professions and physiotherapy/ occupational therapy all over the country are accommodated and the widest possible consensus on the curriculum is reached. The Committee therefore, recommends that the draft minimum standards of education prepared by the Central Councils be circulated to the States and all efforts be made to address the genuine concerns, if any, of the State Governments. Â Â Â Â Â The Committee observes that the proposed Bill is silent about the fate of the Councils/ Board in existence in the States. On a specific query about the status of professionals registered in their State Councils/ Board, it was clarified that every professional in any part of the country, will have to be registered in the Central Council register. A person registered in the State Council will have the license to practice only in that State. It was also informed that the Central Councils may later develop their own mechanism/ rules to merge the State registers with the Central Register provided the State Councils made amendments in accordance with the Central Act. The Committee is of the view that the Centre must work for the removal of the existing disparities in different State Councils/ Board and devise a mechanism so as to entrust these State Councils/ Board the responsibility of maintenance of uniform standards of education in the respective States as per the guidelines formulated by the Central Councils. This clearly should be a relieving fact for many Physios who had been under some form of pressure put on by the State Councils like in Kerala and Andhra Pradesh. Â Â Â Â Â The Committee also has made to be aware of the fact that there was a lot of dissatisfaction among the allied health professionals particularly physiotherapists and occupational therapists with regard to their pay scales. It was brought to the notice of the Committee that their entry into Government service after completion of four and a half years degree course in the respective profession was not being addressed properly. The Committee was given to understand that their recurrent demands for bringing parity in the pay scales have yielded no results so far. General perception was that discriminatory treatment was being meted out to them as their pay scales did not commensurate with their status and responsibility. The Committee came to the conclusion that all the allied health professionals including physiotherapists and occupational therapists play a crucial role in the field of medicine and physical rehabilitation, therefore, strongly recommended that our legitimate interests should be taken care of and their existing pay structure may be revised according to the qualifications and duration of the course they have to put in before entering into a government job. Â Â Â Â Â The Committee was also aware of the non-inclusion of three very crucial provisions in the Bill. These relate to â€˜Professional Conductâ€™, â€˜Renewal of registrationâ€™ and â€˜Rights and privileges of the registered membersâ€™. The Committee opinioned that all the three provisions need to be included in the Bill.